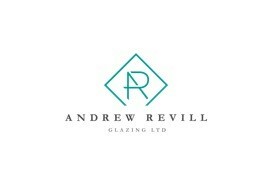 Andrew Revill Glazing Ltd is a small family business, we focus on delivering a reliable, efficient and cost effective service. We offer a professional installation service for all styles of windows, doors and conservatories, in UPVC, aluminium and timber. We also provide a double glazing repair service, such as misted units, replacement handles, hinges and door locks. FENSA Registered and a member of Derbyshire County Council's "Trusted Trader" scheme, so you can be confident of a high-quality glazing finish. With over 20 years experience. All our work is fully guaranteed, quality materials at competitive prices, delivered with excellent customer care. Call Andy for a free quote and advice. Excellent job - very happy with the results and the service given. Andrew is wonderful! Did a brilliant job and is prompt & reliable. I wouldn't hesitate to recommend his services. Accurate quotes, on time, efficient, friendly, good worker, good work. Andy did a fantastic job with a new door, canopy and new windows. Left no mess and workmanship excellent, would not hesitate to recommend. Left to work alone and all work completed brilliantly. Andrew is a very nice person, trustworthy & pleasant. 2nd time we've used Any would recommend him for a thoroughly professional job. In time, quality and cost. Very pleasant, tidy, a good job all round. Had a door especially made to match one we already had from another trader. Lovely helpful man. Andrew provided a thorough and professional service with entirely pleasing results. He was helpful at every stage and I would readily employ him again. Nothing too much trouble. Very polite and helpful and very tidy. Excellent service. Will have him again. A good team. Fast, efficient, professional, pleasant and reasonably priced. Andrew was polite and friendly and promptly responded to any enquiries. Finished a very good job. A most reliable and genuine man. Good worker, good quality finish. Excellent work - tidy, worktop covered, would recommend. Excellent job done. Very reasonably priced and are happy to be using him again very soon. Would recommend him 100%. Andrew is always very obliging and professional. His work is excellent. Andrew provided a fantastic service to replace some of our double glazing units. He is obviously very knowledgeable as well as efficient. Overall a very positive experience and I would have no hesitation in recommending Andrew. Very efficient and got on with the job no problem. He is very good person to deal with cannot fault him in anyway. Excellent job again Andy arrived on time and tidy finish. Attention to detail good. I heard about Andy from my brother who knows of his work and I can say what a brilliant job he made as I had all new windows and a door. He gave me a fair estimate and advice. A very pleasant man who worked hard and professionally. I would definitely recommend him. Professional and friendly. Good service all round. This is the second time we have used Andy for specialist work on our heritage cottage. Again he overcame issues related to quirks in the house to fit a fantastic window for us. As before I highly recommend Andy. His work is to the highest standard. Many thanks. Andrew was very polite got on with the work, did excellent job and no decorating to be done and cleaned all mess up before leaving. Highly recommended. Andy did a first class job. Replaced double glazing panels supplied & fitted a new window and replace fascias board to the car port. All work carried out to a high standard. Thorough, efficient, tidy worker. Good communication throughout. Will use again if needed and recommend to others. Andrew came to measure up and give me an estimate at the time he stated. Came to do the job on a Saturday to suit me. Really pleased with the job to replace double glazed units. Will recommend and use again. Excellent job, wouldn't hesitate to recommend. Would use again. Second time we have used Andrew and service was just as good as first time. Would use him again without hesitation. Job very well done. First class service. Competitive price. Andy did a great job replacing my garage windows. It made such a difference and even my family were very impressed. Would highly recommend Andy as I am hoping to use his services again. An all round good experience. Would not hesitate to recommend. First class service. Andrew carried out the work in time stated. Very competitive price. Excellent. Very punctual, polite, courteous workmanship. Would use again and recommend to others, very good. This is a follow up review for Andy Revill. We had a minor issue with the construction of the heritage windows Andy fitted - not his fault - but he stood buy us while replacements were arranged and came back for a refitting. Great after sales and support to his customers. Much appreciated. Again, would use Andy for future projects without hesitation. Andy has previously put in a door and a window. I asked him to come back to fit another window. Once again, he was punctual, polite and did an excellent job. I would highly recommend him. Thanks. Andy. Work was done quickly with no mess. Good price, friendly service. Always happy with Andy Revill's work. He has now done all of our windows, would recommend him to others all day long! Andrew has done a brilliant job, the windows look stunning. He was very helpful in assisting us to choose the right windows for our property, good, clean worker especially as our property was not the easiest of jobs. Windows and doors are lovely, service friendly and excellent. Andrew works hard all day. His work is clean and tidy. I trust him and feel easy in his company. An excellent job done by Andrew Revill. He worked very hard and conscientiously. A very dependable worker, who we would recommend to anyone. We found Andy Revill on Trusted Trader and since the first moment he came to assess our cottage he has been professional and worked very hard. This was a difficult project on a Grade 2 listed building awaiting permission for new heritage glass. Andy supported us through the lengthy application to DDDC for planning permission and, once approved, he made a wonderful job of fitting the new windows. Punctual, great communication and very neat working. Really went above and beyond. Highly recommended as a professional and genuinely nice guy. Would use again without hesitation. Very efficient and polite service. Very happy with work carried out. Friendly, good and clean worker (would recommend to anyone). Very professional, competitive price, high quality of work & cleaned up removed wastage. Although it took a long time to get the job done from the first call, he did the job quickly, cleanly and was very thorough. Mr Revill arrived at the time arranged. He is a very pleasant gentleman and carried out his work most efficiently. I can definitely recommend him to anyone needing double glazing or garage fascia work. Thank you for Trusted Trader. We have over the years had several glazing firms having moved house a few times and Andy is the best by far. He never stopped working and his work is first class. Great guy. Brilliant workman, quick quote and work completed in 2 days. Excellent finish and tidy worker. Very kind and trusted always helpful. Excellent workmanship. Very courteous & polite. Always punctual. Excellent service from start to finish. Reliable, trustworthy and excellent attention to detail. I would use again and recommend. Exceptional workman. Andy is a gentleman and nothing is too much trouble for him. He had a mammoth task dismantling our old conservatory before he could erect our new one, which we are over the moon with. We can recommend him to all without hesitation. Thank you once again Andy. Job done within a week, very efficient, no mess. Excellent. 1st class worker and no mess left for me to clean up. Came on the day specified at the time he said. Worked well and cleaned up after himself. No problems. The work was carried out to the highest standard in a short space of time. The site was left clean and tidy. Very satisfied in every respect. Polite, pleasant, efficient, would not hesitate to recommend. The work was completed quickly and efficiently with minimum disruption and with the upmost courtesy. Andy turned up when agreed. friendly/trustworthy, great job. Would use & recommend Andy to anyone. Extremely good at what Andy does. Friendly, professional and tidy. Good job done. Could not have asked for better service. Polite and friendly manner. Excellent work. We were very satisfied with the work carried out. If we're able to mark him it would be 11/10. Excellent, quick, tidy work. Whatever they had to move was put back in the correct place before they left. Excellent work, very clean and tidy. Punctual and polite. Will use again for our other businesses. Andrew is always professional and just gets on with it. He turns up when he says he will 10/10 from me! I cannot recommend Andy Revill enough! He did a great job, always arrived early and worked very quickly. He always tidied up and left the work area immaculate and the new doors look great. Such a nice guy and nothing is too much trouble. Takes complete pride in what he does and ensures that everything is perfect. Will definitely be using Andy again in the future. Excellent! Work completed to high standard. On time and reliable. Very pleasant. Would highly recommend. Andy completed our jobs to an impeccable standard. He did the work in a timely manner and also took away all of the rubbish. I recommend him unreservedly. Mr A Revill was recommended by a neighbour who had been very satisfied with his work. I would also recommend him to friends. Very friendly, helpful and done a fab job. Andy's work was excellent. The new door and window look fantastic. He made all plaster and rendering good and took away the old door and window. Arrived on date arranged. I will be using him again. Thank you Andy. Very professional. Good job done with a smile. Andy arrived on time - most professional - very nice manner took great care to dust sheet everywhere (interior window fitters)all tidied up brilliantly. I am always impressed when I receive a 'proper' invoice for work carried out, detailing the price charged and guaranteed work. He came once to measure window. Next time he came to do the job when he said he would. He was cheerful and polite. Andy was polite, friendly and very competent and knowledgeable of his trade. We would gladly recommend him to anyone who wanted his services. First class workmanship. Prompt, courteous and polite. Highly recommended. Andy is a reliable tradesman that I truly could recommend to anyone. Does what he does to a high standard, cleans up afterwards, a pleasure to use. Andy was recommended to us by another Trusted Trader who couldn't complete our work to replace our front door. Andy turned up when he said he would, charged us a fair price, kept us in the loop and did the job quickly and efficiently. We are very pleased with our new door and his work and would recommend him to anyone. Friendly and very pleased with the work carried out. I have a number of properties and I always use Andy to carry out my repairs and replacements. I believe his workmanship and prices are as good as it gets, and wouldn't hesitate in recommending him to others. Excellent tradesman, kind, courteous, hard working and work carried out to an excellent standard - highly recommend. We were very happy with Andy Revill's supply and service. Extremely professional and polite attitude. High quality materials. Our whole family always checks for 'Trusted Trader' status when employing local contractors. It has proved to be an invaluable service! Very nice person. Very good workmanship. Recommend to anyone. We are extremely happy with our windows, both the quality and the finish are excellent. We would be happy to recommend them. Excellent, we were really pleased with all work carried out and also all clearing and cleaning up when the job was complete. We would definitely use Andrew again. Excellent service and communication from trader who was professional throughout from quotation through to finishing the job to an extremely high standard. I am very happy with the quality of the work and would recommend the trader. Tidy, clean work. Excellent service. Polite, got on with the job, which he completed quickly. I was very impressed with all the work Andy did at my house. He was punctual, polite and did a great job. I would definitely recommend him to anyone. Very happy with the new windows and door provided - great service. Brilliant worker. Very clean & tidy. Leaves no mess behind.